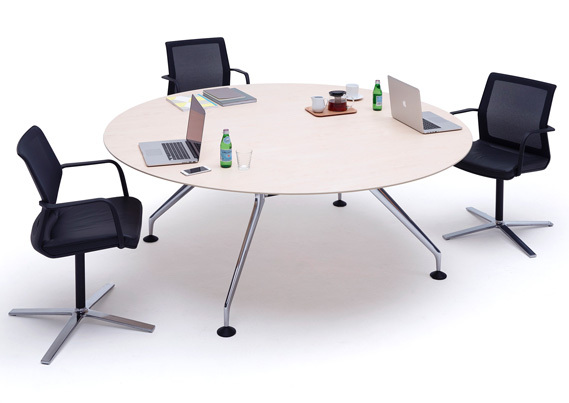 The Lano table range is the largest tabling option Orangebox has to offer. 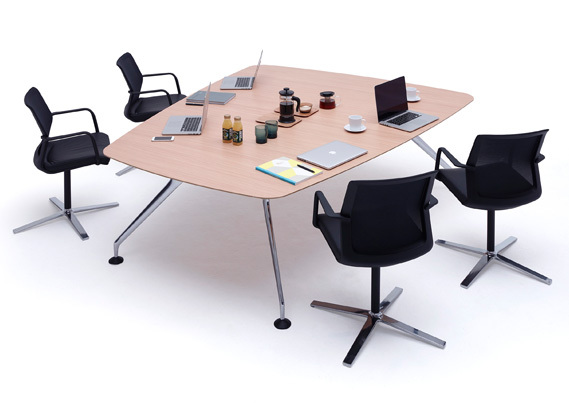 From small tables to large meeting or conference room configurations, the Lano collection is a suitable office tabling solution. 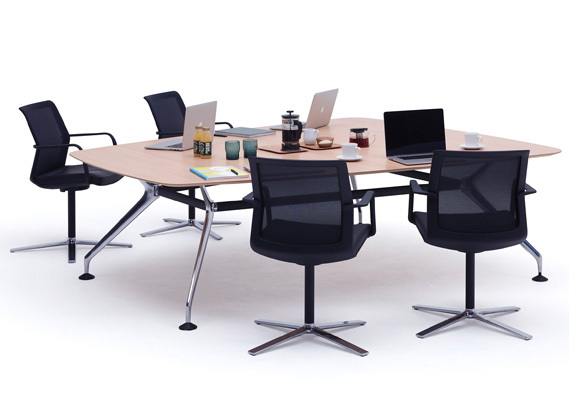 Available in six shapes and a number of sizes, the range offers a lot of personalisation. 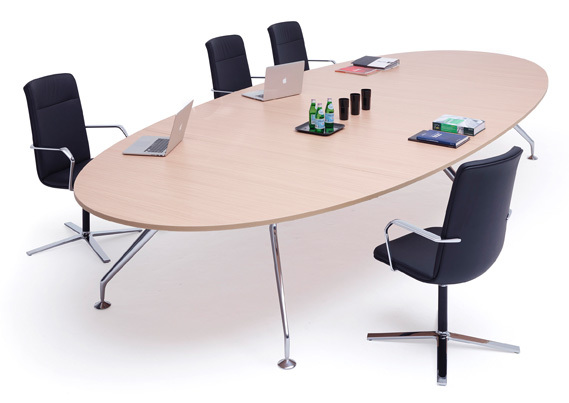 To suit different needs and preferences, shapes range from circular and oval, square and soft square, rectangle and soft rectangle. 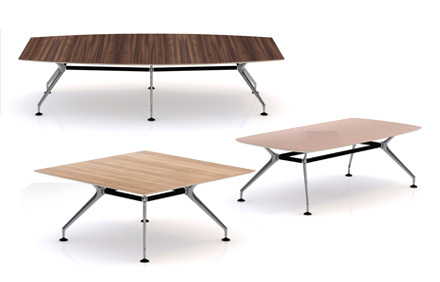 Available in six shapes and a number of sizes, the Lano Tabling Range offers a lot of personalisation. 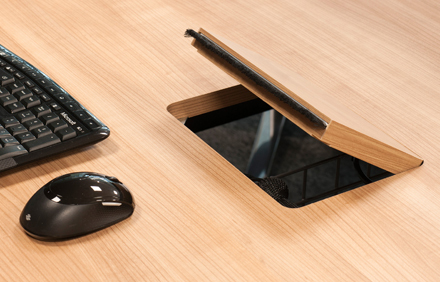 As standard, we offer these desks in maple, beech, oak, cherry and walnut with a veneer finish or white, maple, oak, cherry or walnut in melamine. There is also a range of top edge profiles to choose from. 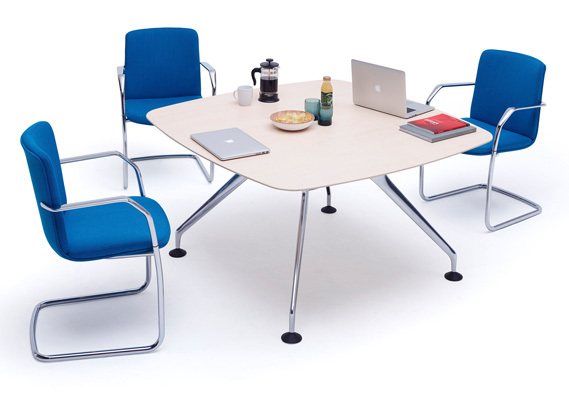 With aluminum, architectural legs that don’t encroach on the user’s space, the Lano’s unique design allows maximum leg room for a natural, comfortable seating position. 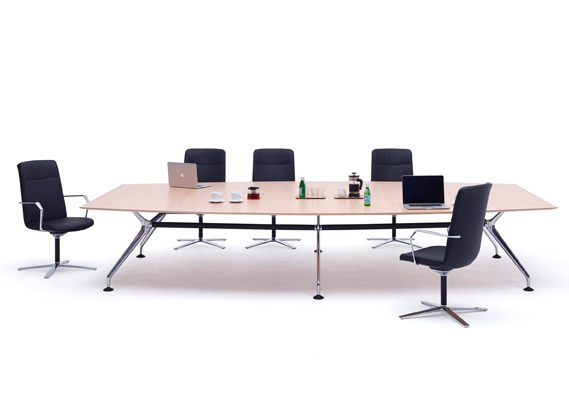 For large conference rooms with multimedia needs, the Lano range is available with cable ports and veneered hatch for a concealed connection. 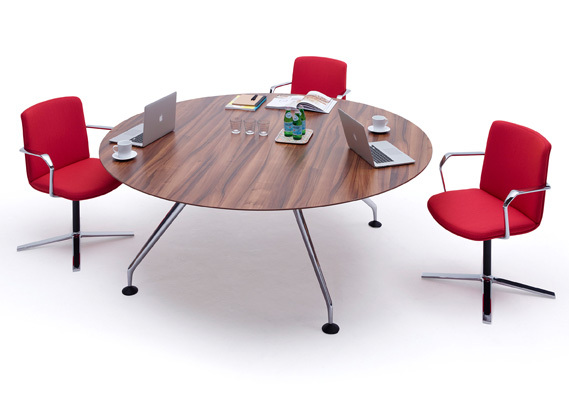 Not only are Lano tables available in stylish melamine or veneer finishes, they are also available with glass tops for a more contemporary setting and professional, sleek look. 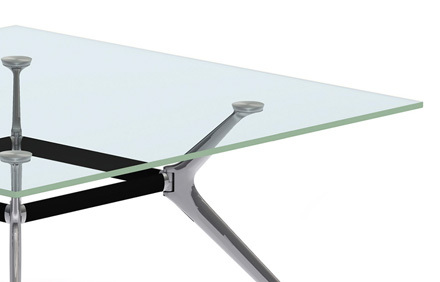 To ensure they can withstand any working conditions they are made from high quality, 10mm toughened glass with a bevelled edge profile.